The experience you provide a first time buyer can create a lifetime relationship, and a lifetime of referrals. These can often be a lot of work, and can be strenuous, but the long term benefits are worth the hard work up front. We are all busy, including your clients, but that doesn’t mean you should neglect a few simple things for the relationship to prosper. The first thing you need to maintain through this process is patience. Your clients will know if you’re rushing through an explanation, and will be less inclined to refer their loved ones to you if you don’t take the time to explain and answer all of their questions. 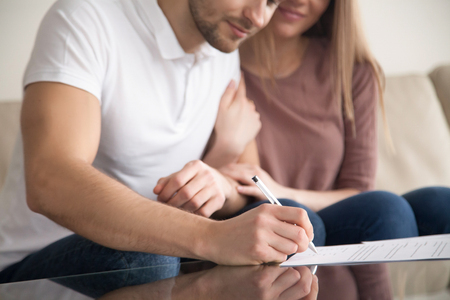 Keep in mind that your first time buyer is completely new to this, you may have sold hundreds of mortgages, but that buyer may not know anything about the process. To them, this is not about the money, don’t focus on the pricing. Get to know your buyer and know their budget, don’t push them into anything they can’t afford but let them determine their limits on their own. Be upfront and blatant as much as possible about what they’re facing financially and let them take the reigns. Just because your new buyer loves TLC and has seen every episode of Love it or List it, doesn’t mean they know anything about what owning a home actually entails. Ask direct questions about what they’re looking for, and make sure they’re aware of the additional costs they face after purchasing an old home, and the price difference in buying a remodeled one. Consider requiring your home buyer to submit pre-approvals to homes they’re interested in. You know how quickly this market turns over, so you know how important these are. Let your buyer know, because when they find the home they’re searching for there’s nothing worse than it being sold out from under their feet. Explain the process and remind them that they often will only have 24 hours or less to put in an offer on the home. The most important part of this is staying in touch with your buyer. Even after the house has sold, make sure to create a long lasting relationship. Let them know you’re there for them and offer information on dependable landscapers, electricians, or contractors in the area that can help them if needed. It’s a great way to keep at the front of your buyers mind, and receive referrals. Even if this buyer doesn’t get the biggest lake house or the most expensive home on the market, they can refer you to someone who sends someone else and can generate a long line of referrals to keep you in business for years to come.